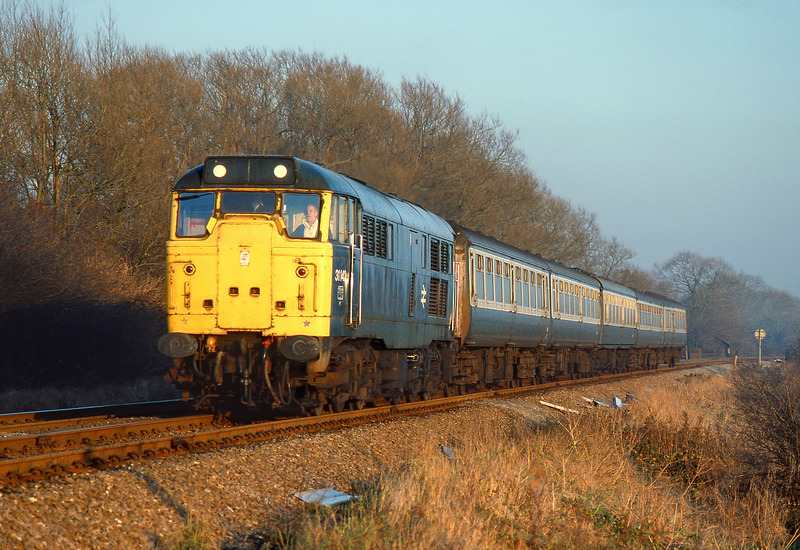 31142 basks in the golden winter afternoon light at is passes Frisby-on-the-Wreake with the 1M67 12:10 Cambridge to Birmingham New Street service on 8 December 1984. Booked for an ETH Class 31/4, the passengers are presumably feeling a bit chilly on this occasion! 31142 managed to survive to very nearly the end of general Class 31 usage on the main line, being withdrawn in 1999. It was cut up at T. J. Thompson's in Stockton in 2003.